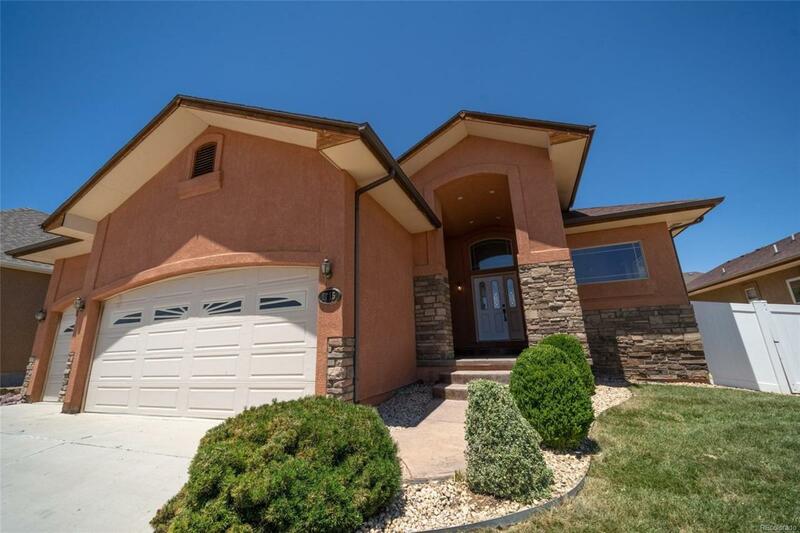 This single family ranch style home is located minutes off I-25. The home boasts an open concept and a 3 car garage! Step through the grand arched entrance into the formal foyer, you'll know you've found your new home! Elegant & Spacious great room is bathed in natural light & features Oak floors, built-in entertainment ctr, & gas fireplace. Cinnamon maple cabinets set the tone for the adjoining gourmet kitchen & dinning room area. An Island separates the great room & kitchen making this home perfect for entertaining!